“Why do I have to learn spelling words?” This is a question most children ask during their schooling. Many children struggle with spelling words and the repetition of practicing the words over and over doesn’t seem to help. This leads many children to become frustrated and to giving up. Learning spelling words is important to a child’s future. It helps lay the basic foundation that children will need throughout their education and life. Read how ace speller Darshik made it through and achieved the title “Exemplary Child of 2019” in Little Speller at the WhizzKid Challenge! Extra marks for good handwriting! Sounds familiar? Improving children’s penmanship, legibility, pencil grasp, and speed are all important things that need to be addressed, especially in today’s techno-literature world where children can operate computers before they can read. Beyond just exams and classwork, writing is an essential form of communication in daily life. For K Siddharth; good handwriting is his signature skill that was nurtured over time and that’s how he went on to bag the title; The Exemplary Child of 2019 in the Junior Penmanship at the WhizzKid Challenge! Siddharth was known by others as an outstanding student at MCC Matriculation Higher Secondary School. However his challenges with handwriting, specifically in learning cursive, understanding line concepts, and achieving speed seemed to require the need for intervention. His parents, Kamal and Manjusha brought him to MyBeeClub with a hope to enhance his handwriting and speed. His teachers were amazed to see his progress; he was a quick learner. All it took was one level, a caring instructor, some practice and there he found himself with not just better, but efficient handwriting and he gained control over his speed too! Manjusha is happy that Siddharth can now get his great ideas down on paper beautifully and going from sloppy to skilled is no normal feat. This unique platform ‘WhizzKid Challenge’ was created as an equal opportunity for the 80% children who are typically left unnoticed in a school environment and also for the 20% smart learners. The challenge created by MyBeeClub, a USA based educational enterprise, saw over 4000 students participating from 40 centers and schools. It served as a great stage for students to showcase their skills. Iniya from MyBeeClub Avadi was so committed in improving her communication that she never missed her classes. 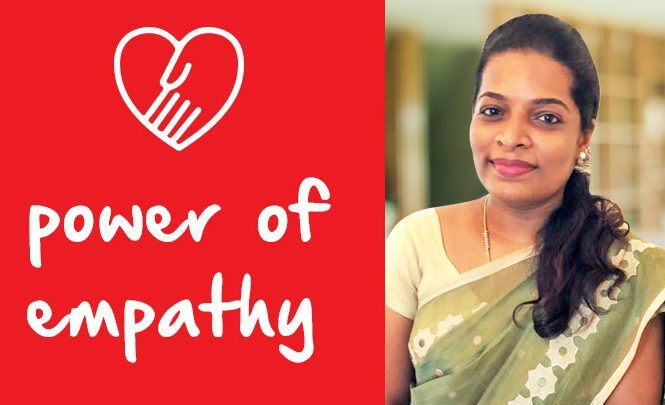 Backed by her parents and the franchise owner Muthuselvi, a passionate educator and entrepreneur, Iniya showed good progress and tasted victory soon. The new center stands example for an incredible success story. A story that is a head start to Iniya’s dream to be a doctor someday. There are no shortcuts in life, definitely no shortcuts to learning English. Storytelling can inspire children to learn the language better because stories are a reservoir of imagination. Verbal expressions and enactment can add flavour to the creation. The WhizzKid challenge created by MyBeeClub, a USA based educational enterprise, saw over 4000 students participating from 40 centers and schools. Iniya bagged the ‘Exemplary Child’ title in the ‘Tiny Storyteller’ category. As Iniya rightly said, ‘You can’t judge a book by its cover’. Her story about a little boy from the book “You can win” by Shiv Kera wowed the jury. She was evaluated for her fluency, body language, confidence, grammar and excellent vocabulary. Here’s how Iniya’s Mother weaved her magic, ‘I let Iniya choose her own reading material, and I never scoff her choice. Making her time at home self-directed was one of the simplest ways to inspire her to love reading’. On clinching the win, Muthuselvi shared her excitement stating, ‘Believe in yourself and there is nothing you cannot accomplish, Iniya is the testimony’. Yes, believe in yourself and don’t let fear or insecurity stop you from trying new things. Persistence guarantees that results are inevitable. This holds true for Iniya and MyBeeClub Avadi as well! Sweaty hands, pounding heart, rapid breathing? It’s stage fright! According to most studies, people’s number one fear is public speaking. The fear of public speaking or glossophobia is a complex one to overcome. But Talking Champ Tamana Gulecha tricked her brain and stole the show on February 23rd at the WhizzKid Challenge by winning the title, ‘Exemplary Child of 2019’! She is a class eight student from Ewart Girls School who lacked courage and confidence before joining MyBeeClub. Tamana, a talented girl with a great deal of hidden potential went through an intense transformation for the last 6 months with her MyBeeClub mentors. She dramatically improved and overcame her stage-jitters with an appropriate plan, constant practice and positive thinking. The WhizzKid jury evaluated Tamana for her confidence, body language, stance, voice modulation and her response to spontaneous questions. Her speech on ‘Women Safety in India’ left the entire audience speechless. Anitha and Nitesh were proud parents hearing the good news about Tamana receiving the ‘Exemplary Child’ award! Tamana is now an inspiring role model to other children to overcome obstacles and live meaningful lives. Kindergarten student Sasha Vikram Bagged the Title ‘Exemplary Child’ in WhizzKid Challenge! 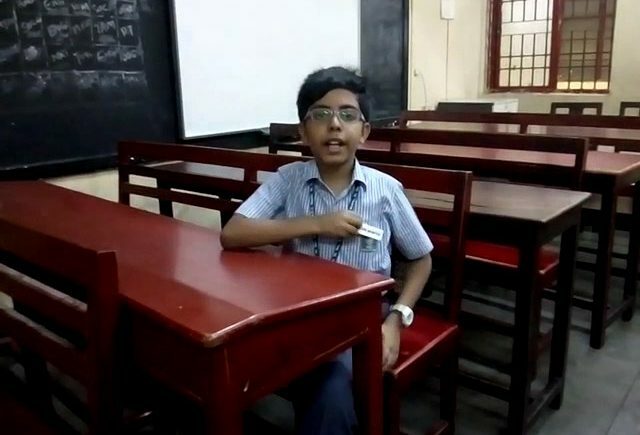 Sasha Vikram of MyBeeClub Valasaravakkam emerged as the winner of ‘WhizzKid Challenge – Season 1’ an exclusive platform to inspire students to showcase their talents. The challenge created by MyBeeClub, a USA based educational enterprise, saw over 4000 students participating from 40 centers and schools. 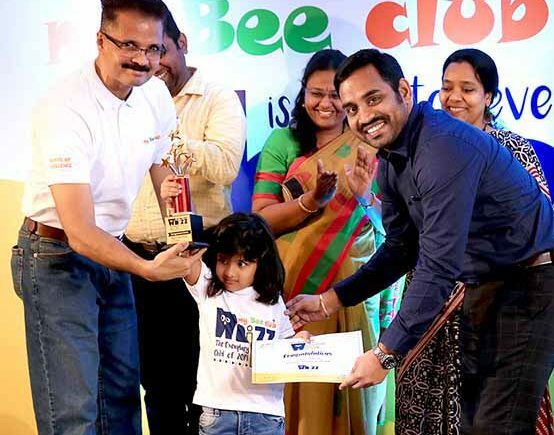 From amongst 170+ students partaking in various categories, Sasha bagged the ‘Exemplary Child‘ title in the ‘Tiny Storyteller’ category held on February 23rd at Hotel JP – Golden Peacock, Chennai. The event was graced by Mr. Meghanath Reddy, IAS as the Chief Guest. MyBeeClub Phonics program had ignited Sasha’s passion for books. She developed a strong reading foundation that established her comprehending skills. The WhizzKid jury evaluated Sasha for her free flow presentation, articulation, body language and voice quality. On clinching the win Mrs. Poorani Govindaswamy, Director of Valasaravakkam Center shared her delight by stating ‘Sasha is a complete Arise ‘n’ Shine and MyBeeClub Product’. Sasha’s parents Sera Thomas and Vikram Sagar Ravi say ready for bed is the perfect time to read to your children. To help with your child’s linguistic development, this should become a daily ritual in your household. It helps improve their language skills, instills a love for reading and stirs their imagination. The cooperation from school and parents trust enabled Sasha to become a great performer. Once shy, Sasha is now an Exemplary Child.